One of the major problems that capital market participants and investors have been dealing with since the foundation of the stock market is the lack of modern financial instruments in the capital market. 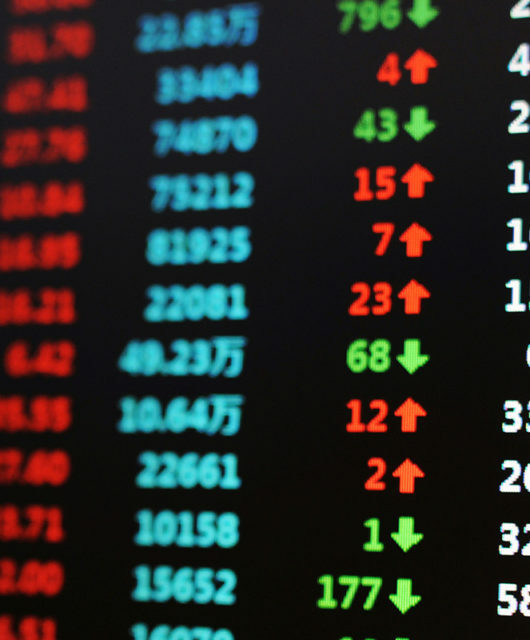 This issue has compelled the authorities to take various measures in order to apply up to date financial instruments in Iran’s capital market with the aim of encouraging investors and further deepening the capital market. One of the latest attempts has been the unveiling of Option contacts in the month of Azar of the current year. By definition, an Option contract is an agreement that facilitates the transaction of an underlying security at a predetermined price for both parties. This predetermined price is called the Strike Price. Option Contracts can be divided into two types based on the nature of agreement: Call Options and Put Options. Moreover, Options Contracts can be categorized based on method of application, for instance American Options and European Options. The American type of Options gives the owner the right that he or she would capable to apply its right at any time up to the expiration date, while in the European type the owner of the right can apply its right only at the expiration date. The contract that has been unveiled at Iran’s capital market is of the European type and at the first step is only carried out for three underlying shares of Irankhodro, Esfahan’s Mobarakeh Steel Company and National Iranian Copper Industries Company. In order to better understanding the way this financial instrument works we can present the following example. Assume that a specific share is currently being traded at the price of 100 Tomans at the stock market and the shareholder intends to transfer the option of buying this share to another person at the price of 120 Tomans in the upcoming month. Since this contract is the European type and can only be applied at the expiration date, if the price of this share declines to less than 120 Tomans, then the call option will be expired due to the fact that the owner of the right can purchase the above mentioned share at a much lower price from the market. 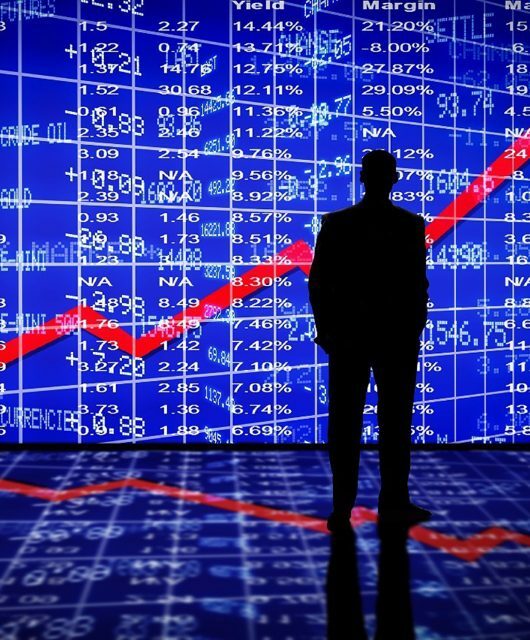 On the other hand, if the market price of the underlying share raises to more than 120 Tomans at the expiration date, for instance to 140 Tomans, the owner of the right can execute its right and make profit by buying the share at 120 Tomans and then selling it at the market at the price of 140 Tomans. It should be noted that the owner of the buying option, due to the supply and demand for the buying option, will pay a certain sum for the buying option to the option seller at the beginning of the contract. One of the most important factors that have challenged the players of the capital market during the first trading days at this derivatives market has been the trading method at this market. It is important to note that although this option contract is the European type and can only be applied at the expiration date, however the financial instrument itself can be traded before the expiration date and considering the lack of volatility for this type of instrument, a suitable return can be acquired only by trading the options contract. Option contracts have been traded at different financial markets for over 30 years. However, the peak of its popularity can be dated back to the beginning of the 21st century. Many investors do not undertake this type of trading due to their belief that such contracts are highly sophisticated and their mechanism cannot be easily understood. The unsuccessful experience regarding the options contracts at the beginning due to lack of familiarity of investors and their brokers with this efficient financial instrument has been the main reason why many investors turned away from them. Inappropriate usage of option contracts or any other efficient instrument can have various consequences for investors. On the other hand, although many investors use risky and dangerous words in describing this instrument, but eventually what really matters for every investor is to become familiar with various aspects regarding the value of the option contract prior to taking the decision as to whether or not they should undertake such commitment. Acquiring commitment situation in option contracts has four general advantages: These instruments are economical and cost efficient, can have lower risk for the investor than the stock itself, can result in increasing the percentage of return, and eventually can offer suitable strategic alternatives for the investor. Option contracts have remarkable leveraging quality. An investor by obtaining an option position in an option contract can take advantage of the efficiency of a larger number of stocks compared to the direct purchase of the equity. For example, for every three stocks that in the first step have been chosen as underlying assets in an option contract, groups of 10 thousand shares are selected. It is assumed that the price of the underlying asset in the option contract is equal to 100 Tomans. If we are willing to purchase 10 thousand shares of that company, we should spend one million Tomans. But if we consider the right to buy the same share equal to 10 Tomans, then in order to benefit from the right to buy this share at the price of 120 Tomans in the coming month we should only spend 100 thousand Tomans. Now we assume that at the expiry date the price of the same share is equal to 150 Tomans, if we have used the direct purchase method, then by selling 10 thousand of that shares at the price of 150 Tomans we have obtained a return of 50 percent. On the other hand, if we have used an option contract, we have purchase the 10 thousand shares mentioned above at the price of 120 Tomans according to our agreement and at the same time we can sell them in the market at the price of 150 Tomans. This implies that by spending the initial sum of 100 thousand Tomans, we have acquired a return equal to 300 thousand Tomans which demonstrates a 300 percent return. In some cases, buying options involves higher risk for the investor than directly purchasing equity, but in other cases options can be used to reduce risk and investor’s risk management. Since this financial instrument involves less commitment for the investor compared to direct purchase of equity, it can lead to reduction in investment risk. Moreover, using this instrument can protect the investor from the consequences of gap openings. In fact, options contracts can be considered as the most important hedge instrument for investment, thus making it less risky than the stock itself. When an investor purchases stocks, it tries to prevent losses more than the bearable loss by placing a stop-loss order. If, due to any reason, the investor cannot sell the stock at the predetermined price for the loss limit, it will cause a significant loss for him. For example, assume that a share is considered for purchase at a price of 100 Tomans and the maximum loss bearable for the investor is 10 percent, therefore the investor will attempt to purchase the stock at the price of 100 Tomans while placing the 90 Tomans stop order. Now let’s consider that as a result of some problems that the company is facing it declines its announced profit by 50 percent, and after the opening of the market the supply/ demand mechanism determine the stock price to be equal to 70 Tomans, which will lead to a significant loss for the investor. Now if the investor had purchased a put option, it would have considerably reduced the loss for the investor. As demonstrated in the sections above, easily and without any sophisticated calculations it can be understood that if you spend a lower sum for investment and make almost the same profit, you will have a higher return. To understand better we can further analyze the same scenario in the section above. In that example, the investor spent a sum equal to 100 thousand Tomans and acquired a return equal to 300 thousand Tomans. This is while the direct purchase of stocks would require an initial investment equal to 1 million Tomans. Obviously, the percentage return in case of purchasing an options contract is much higher. Another major advantage of using an options contract is that they offer suitable strategic alternatives. These financial instruments are highly flexible and can be applied to recreate synthetic positions. Synthetic positions have helped investors greatly in reaching their goals. As an example, an investor that has purchased a stock at the price of 100 Tomans, by selling the call option with a strike price of 140 Tomans, will not only enjoy a profit of 40 percent but also the sums from selling the above-mentioned derivatives. One of the criticisms regarding the implementation of this plan at the capital market is the extensive use of the call option while the put option has never been traded at the capital market until now. On the other hand, fundamental problems of the capital market for instance volatility range, base volume, long term closing of one symbol, shallow depth of the market and the like have resulted in the slow process of attaining the objectives of this plan. Contracts that are launched at the Tehran Stock Exchange have other characteristics as well. One of the most important elements is the way these contracts are implemented. These contracts have been applied in a non-automatic way and the owners of open call options should, if they are willing to, announce their request to the clearing house through relevant brokers and according to the agreement between the client and the broker. Settlement in stock option contracts will be carried out in three ways, namely cash only, first cash then physical, and only physical. Another attribute of the contracts is that during the first three months since their implementation and in line with helping the development of the market for stock option contracts, no commissions will be paid except to the broker. Funds investing in stocks can also allocate up to 5 percent of the value of their investment portfolio of the day to purchasing option contracts. On the other hand, selling call options is possible up to 10 percent of the company’s shares that exist in the investment portfolio. All the points described regarding investment funds are only possible if the fund’s article of association, the right to collaborate in the derivatives market has been granted to the relevant authorities, otherwise funds should correct their article of association by organizing the general assembly. Considering all the elements mentioned above we can deduce that exploiting any type of new financial instrument will lead to attracting more investors to the country’s financial market and if a suitable mechanism is developed for supervising their activities, then we can witness the prosperity and flourishing of the country’s derivatives market as in other countries in the near future.